Raising your own nightcrawlers gives you live bait for use at any time. Since the beginning of time, worms have been used to catch fish. However, the methods used for catching worms have become more sophisticated with the rising technology. Commercial worm catchers have taken to a very strange method in order to catch many worms at a time: a car battery. The current sent by the battery is harnessed and sent into the soil, and worms will rise to the surface of the soil in order to escape. They can then be easily scooped up. Use a water hose to wet your soil, if your soil is not wet already. Stick the two metal rods into the soil, about four to six feet apart so they are standing upright. Put on rubber gloves and attach the jumper cables to the car battery. The black clamp attaches to the negative end of the battery and the red clamp attaches to the positive end. Attach the other end of the jumper cables to the metal rods. A current will now be sent into the soil. 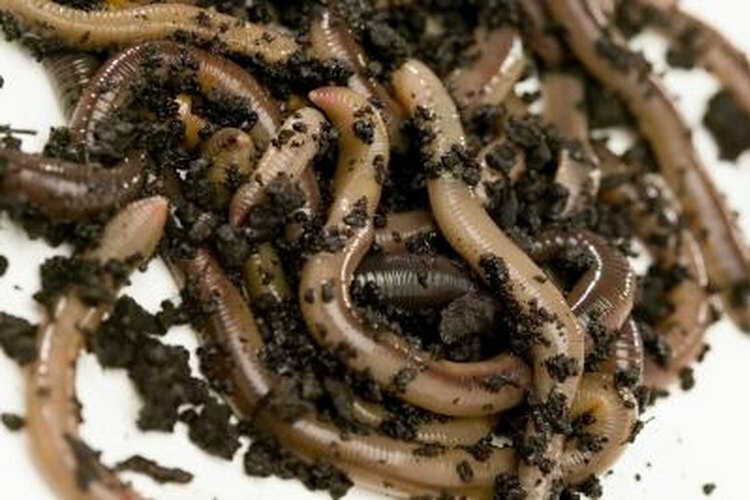 Wait roughly half an hour for the worms to rise to the surface. Disconnect the jumper cables from the metal rods and car battery. Search for worms in the area around the metal rods. Scoop them up and place them in the bucket. The paper towels in the bucket will provide insulation. Please remember to keep your rubber gloves on when handling the car battery, jumper cables and metal rods. Not doing so could cause injury by electrocution.